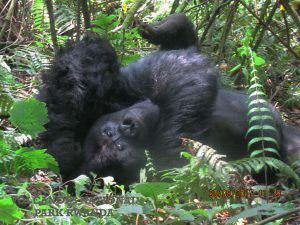 The 6 Days Uganda Wildlife Safari to Kidepo Valley Park and Murchison Falls National Park is one of the many wildlife safari packages organized by Prime Uganda safaris and tours to enable you encounter the different wildlife species protected in Uganda’s national parks. 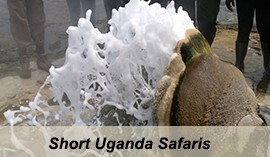 The 6 days Uganda wildlife safari starts from Kampala and it takes you to Kidepo Valley National park located in the North Eastern part of Uganda on the Border between Uganda and Sudan, The safari also connects you to Uganda’s largest national park-Murchison Falls National Park that is famous for its diverse game viewing, adventurous launch cruise and the powerful world Murchison Falls from which the park was named. Day 2 of the 6 Days Uganda Wildlife Safari to Kidepo Valley Park and Murchison Falls National Park: Do an Early Morning Game drive and Evening cultural encounter. 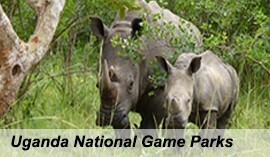 Day 6 of the 6 Days Uganda Wildlife Safari to Kidepo Valley Park and Murchison Falls National Park: Do Rhino trekking in Ziwa Sanctuary and transfer to Kampala. After an early morning breakfast, embark on transfer from Kampala to Kidepo Valley National Park 557kms about 10 – 12 hours’ drive. The long drive journey takes you through the early morning traffic jam of Kampala City to the famous Luwero Triangle which was negatively affected by 1980’s Ugandan Civil War. The drive will continue through the open grasslands of Nakasongola District to Gulu town. On your arrival to Gulu town, you will have stopover for lunch and thereafter continue with the drive through Kitgum to Kidepo National Park. After an early morning breakfast, embark on an early morning game drive along the designated Kidepo trails to Kanangorok hot spring. The park harbors a great diversity of wildlife species than other safari parks in Uganda. Of the 80 species of mammals recorded in the park, 28 are not known to occur in any other Ugandan safari parks. The game drive will give you possibilities meeting the Carnivore species such as bat-eared fox, striped hyena, aardwolf, caracal, and cheetah, hunting dog. The game drive will enable you to have closer account to other wildlife species like Elephant, burchell’s zebra, bush pig, warthog, rothschild giraffe, cape buffalo, eland, bush buck, bush duskier, defassa water buck, bohor reed buck, jackson’s hartbeest and oribi. After the early morning game drive, you will retire to your lodge for lunch, relaxation as you wait for an evening cultural encounter. Embark on an evening cultural encounter with the Karamajongoes local people living in the nearby areas of Kidepo Valley National Park.Cultural encounter will expose you to unique traditional dances such as the Emuya of the Naporre and Nyangia, ethnic groups and Larakaraka and Apiti dances of the Acholi. After the activity, retreat back to the lodge for dinner and overnight. After cup of coffee in the morning, embark on the transfer to Lamoji Mountains were hiking and Scenery viewing is carried out. The activity will take you through the mountains and savannah landscape of the park, the Narus valley where you may also meet some wildlife species and bird species. You will explore the splendid Kidepo River Valley covered by Borassus palm forest, the Kanangorok hot springs and the Lotukei Mountains in the southern boundary of the park. 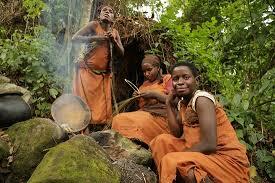 Thereafter, retire back to your lodge for relaxation, lunch as you wait for an afternoon Nature walk. After lunch, you will embark on nature walk and this will take you to the Karamajong homesteads locally called manyattas and probably kraals to see traditional costumes, stools, spears headdress, knives, bows and arrows and jewelry. Retire back to the lodge after the activity, have dinner and overnight. Day 4 of the 6 Days Uganda Wildlife Safari to Kidepo Valley Park and Murchison Falls National Park: Transfer to Murchison Falls National Park. 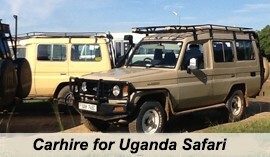 After an early morning breakfast, embark on the transfer to Murchison Falls National Park. The interesting scenic drive will take you through Savannah grasslands of Kitgum district to Gulu town. You will have stopover for lunch in Gulu town and thereafter continue with the journey through Karuma checking into Murchison late in the evening like at 6 – 7pm.On arrival to the park, you will drive to your already reserved lodge for dinner and overnight. 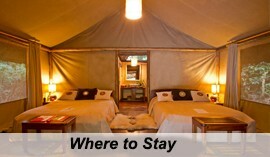 Paraa Safari Lodge (Upmarket/Luxury), Pakuba Safari Lodge (Midrange/Standard) or Heritage Safari Lodge (Budget/Basic). Day 5 of the 6 Days Uganda Wildlife Safari to Kidepo Valley Park and Murchison Falls National Park: Do early morning Game drive and afternoon Lunch cruise, hike to Murchison falls. After an early morning breakfast, embark on an early morning game drive at 6:00am in search of the unique wildlife species in Murchison falls National Park. The game drive will take you through Buligi tracks, Albert and Queen’s tracks north of the River Nile. You can picnic; enjoy the views of elephants Hippos, Buffaloes, leopards, waterbucks, Giraffes, Jackson’s hartebeests, Warthogs, Jackals and other game on the grassy hillsides at Nyamusika Cliffs. The four-hour game drive is highly rewarding because the well-established game driving trails in the park allows you to enjoy the views of different wildlife and bird life protected in the park. Retreat back after the activity to your lodge for lunch and relaxation. After lunch, embark on an afternoon boat cruise in the magnificent waters of the Victoria Nile. The boat cruise that sets off at 2:30pm starts from paraa and it takes 3 – 4 hours of adventure. The boat cruise will not only bring you to closer account of the different wildlife like hippos, Buffaloes, Crocodiles, Elephants when they are drinking in the river banks ,but it also gives you closer glimpse of the different water bird species swimming in the banks sides of the river. After an early morning breakfast, embark on 70 kilometers drive from Murchison to Ziwa Rhino Sanctuary. On arrival to the sanctuary, you will trek the only white Rhinos protected in Uganda. Rhino trekking will give you chance to meet the endangered species of Rhinos in Uganda and this will provide you full account of all the big five wildlife species in Uganda. 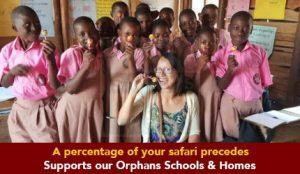 After the activity, you will have your lunch and thereafter embark on the drive back to Kampala. 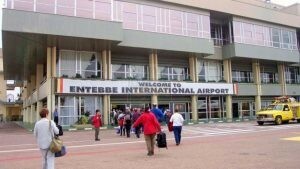 On arrival to Kampala, the driver guide will drive you to your Kampala lodge or Entebbe airport for your flight back home if the flight schedule is on.